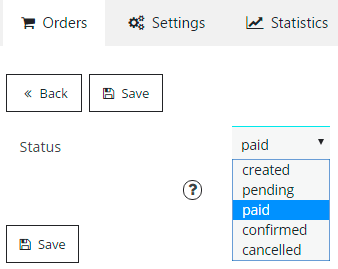 On the Orders page you will get a list of orders made. 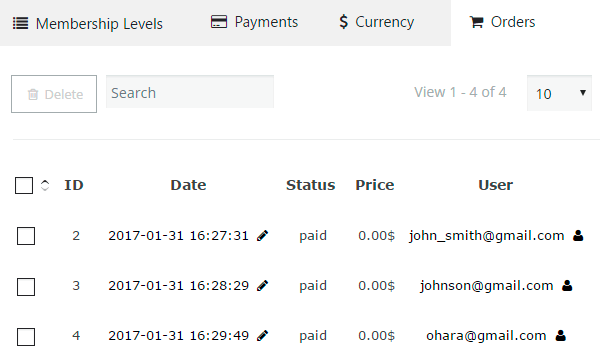 This will show the dynamics for your resource and make aware of recent purchases. Besides, if you click on users sign near clicents email, you will be redirected to WordPress Edit user’s page.